In a reboot of the old school, Wizard of the Coast's new Red Box Starter Set aims to introduce new players to D&D. 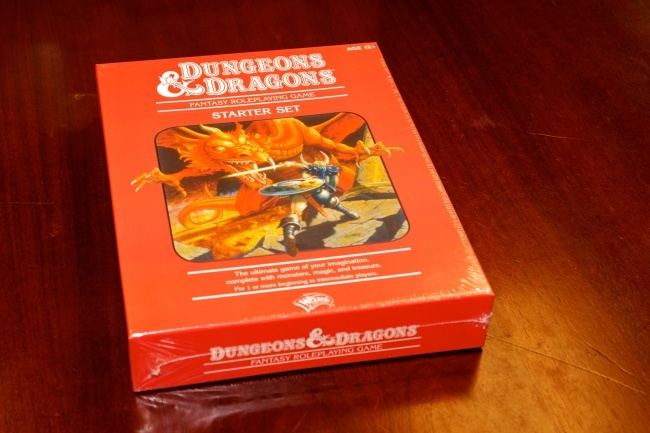 Dungeons & Dragons released the Red Box starter set in 1983 edited by Frank Mentzer. 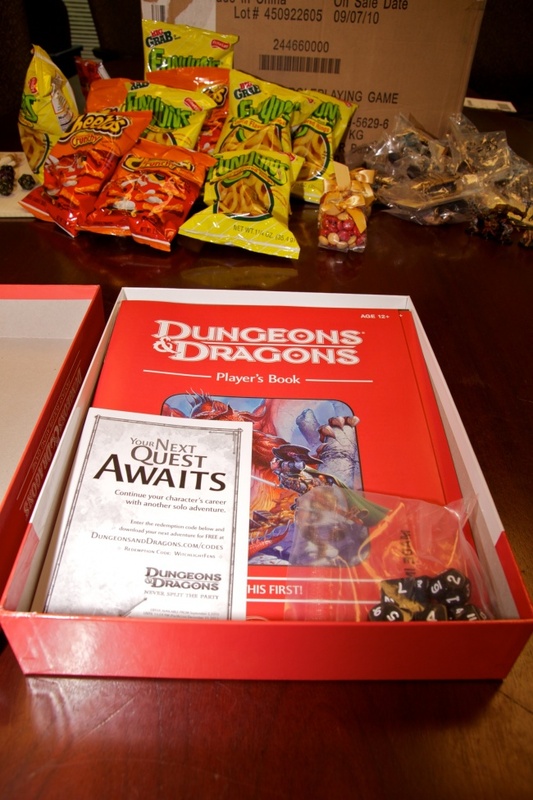 More streamlined and intuitive than the previous Red Box by Robert Moldvay and the blue-boxed starter set from 1977, the Mentzer Red Box introduced hundreds of thousands of people to tabletop roleplaying. For many, that product captured their imaginations and led to a decades-long love affair with fantasy roleplaying. 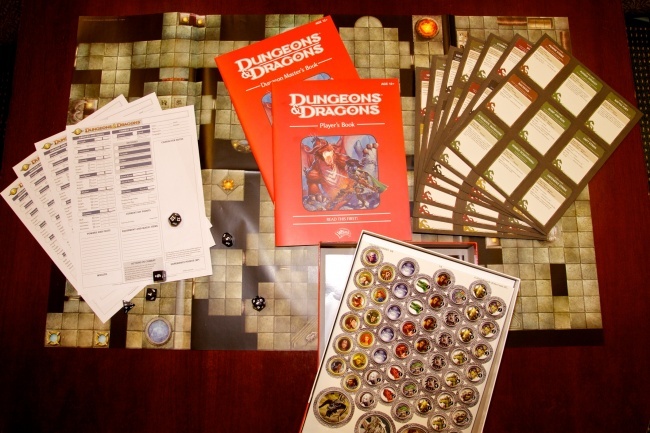 Since then, Dungeons & Dragons has passed through many corporate hands and several revisions to its rules. Now in its 4th Edition and published by Wizards of the Coast, a subsidiary of Hasbro, D&D still aims to capture the wonder felt when children first opened that crimson box adorned by a dragon and fighting man so long ago. 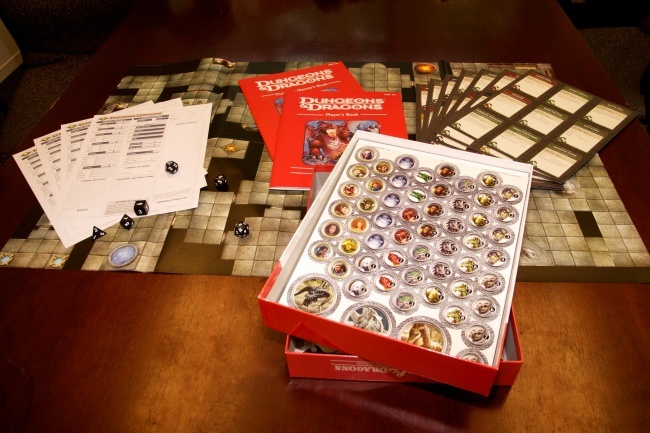 The new 4th Edition Red Box has everything that you need to run and play a game of Dungeons & Dragons, from dice to maps to character sheets and tokens. 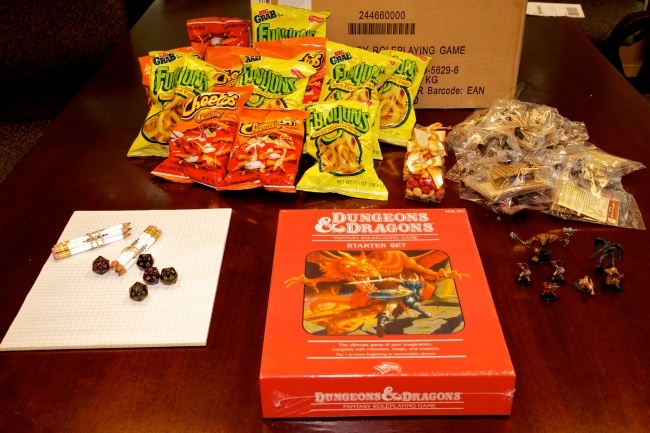 Wizards was kind enough to send along some Funyons and Cheetos, as well as a few miniatures and graph paper, all essential tools to any good tabletop game. 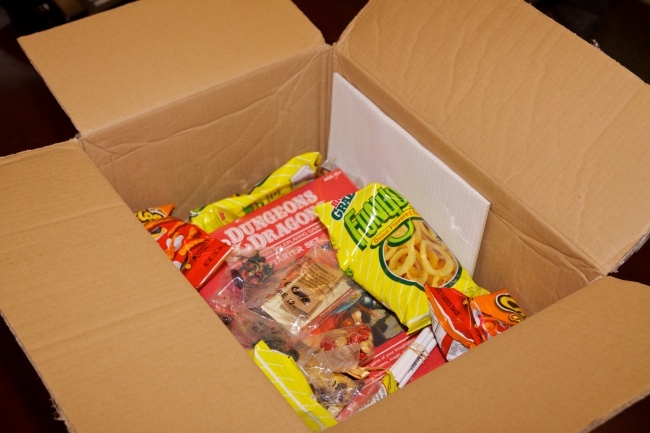 Take a look at the photos of our unboxing of The Escapist's Red Box. The plan is to lock some of our less-experienced gaming employees in a room with the Red Box, the Funyons and some foam swords. Four hours later, they will have become grognards like the rest of us. Either that, or they will be dead from Funyon poisoning.